Hide deals from seller "La Roca Tapas"
Hide deals from category "Spanish"
Limit 1 per person. Valid toward hot tapas. Promotional value expires 30 days after purchase. 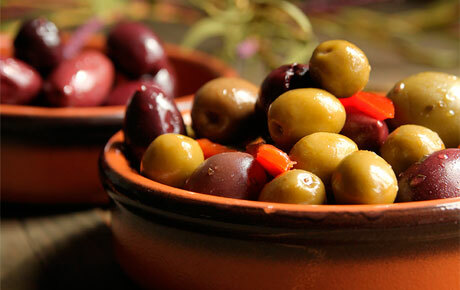 Heat up the last nights of summer with 50% off hot tapas at La Roca Tapas in Arlington Heights ($20 value). This tapas restaurant serves outstanding European-style tapas fresh from the kitchen. It is owner Tim Trujillo’s promise to serve you the world’s best homemade sangria. Pair with a glass with a plate of fresh tapas, and you’re in for an unbeatable dining experience. Their selection of tapas includes a variety of Spnish appetizers, served hot or cold. La Roca Tapas offers an eclectic array of Spain’s finest like the sautéed stuffed figs with bacon and brandy cream sauce, or baked goat cheese with tomato-basil sauce. Say adios to summer and savor Spain’s specialties with this full-flavored deal. Spanish restaurant in Arlington Heights serving a variety of hot and cold tapas.